We're all looking for great ideas to help improve our confidence, self-esteem, and help create a positive self image. It's human nature. Simply finding clothes that flatter our figures, choosing better food options for snacks and meals, and following a fitness/workout plan can have immediate results in improving our lives. But, those are just outward strategies. If we really want to focus on positive self-improvement, we have to dive a bit deeper into our mental, physical, and emotional sides to carve out the perfect version of ourselves that we want to present to the world. 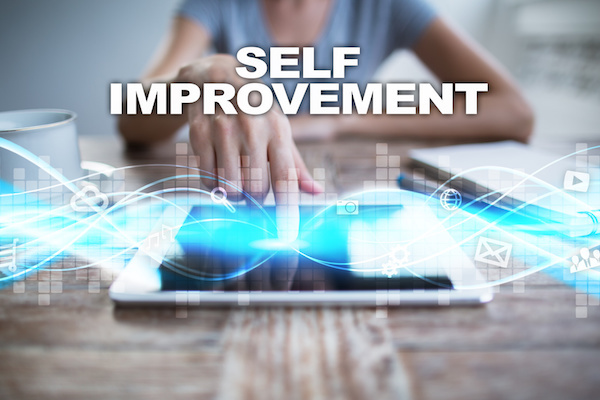 There are infinite ways that we can promote positive self improvement in our lives, however, there are definitely some suggestions and recommendations that are not at all in our best interests. Sometimes these not-so-helpful self improvement ideas can be hard to spot and recognize. Knowing what to look for in the vast sea of self improvement strategies is the first step to ensure that you're not fooled by false tips, tricks, and promises. Let's take a look at what doesn't work so that you know exactly how to create the most fabulous version of you. Who ISN'T interested in instant gratification?! If you said, 'I'm not!' - you're just lying to yourself and we're not getting anywhere with this self improvement chat. Whether we get frustrated with commercials on TV, when our internet goes out for a split second, or when the street light doesn't change fast enough on our way to work - we all fall victim to wanting everything to happen ASAP! This tends to happen quite a bit, too, when it comes to tracking self improvement ideas that can help us become better versions of ourselves. We have to learn to slow down. We have to learn to NOT expect changes to happen immediately. We have to learn from the story of the tortoise and the hare. Be the tortoise and take your time with things you want to change. Rushing through the changes that you want to make means that you may pass opportunities along the way. One of the biggest deterrents of strong self improvement ideas is setting unrealistic goals. Telling ourselves that we should be millionaires by the time we turn 30; expecting a promotion to upper-management in the company we just began working at a few months ago, or planning to be married with 2.5 kids and a home with a glistening white picket fence by the end of the current year are all scenarios that may not be feasible. When we mentally set ourselves up for these goals and then don't achieve them on our set timelines, we have automatically defeated ourselves. We have created an unrealistic plan that may truly not be possible or attainable. When I close my eyes, I can sometimes see myself living in a home that I have completely paid off; my kids are successful and grown, and all of my dreams have magically come true. I love that world! But, it's not my reality. Just because my dream world has not come true, that doesn't mean that it can't come true. However, if we mentally allow ourselves to live in our fantasy worlds where we are convinced that every thought and dream of ours will inevitably be fulfilled - we're again, setting ourselves up for loss. Strong, positive self improvement ideas should begin with a plan that is based in reality. Setting goals and working towards them while firmly grounded is the best strategy to ensure that we don't give up on our perfect lives, but we also don't get defeated by the harsh awakening that our fantasy world is not real. Ah yes, remember how we discussed our love of instant gratification? Here is a perfect example of how expecting immediate results can set us up for failure. Sadly, though, very rarely do any of us want to wait. However, if we can put in the time and wait for our self improvement ideas to take affect - we will feel forever grateful that we did. Take, for instance, the idea of getting a promotion. Many times, we expect to see this promotion happen extremely fast because we work hard, put in the extra time, and try to go the extra mile when it comes to work output. However, the first time we get passed over for that promotion - we feel as though all of our plans have failed and we missed our target. This thought has the capacity to begin a domino effect of other goals and targets in our lives. If we give up early, then we may totally miss the incredible feeling that comes with working hard towards attaining a goal. Everything in this world seems to focus on strength. Strength of body, strength of mind, strength of spirit. All of those strengths are absolutely fantastic, however, when we only focus on our strengths, we don't take the time to work on our weaknesses. Working on our weaknesses gives us the perspective and insight that we still have things in our lives that can change and be fixed. Recognizing our imperfections has the capacity to create an incredibly strong self worth and positive self image. Focusing on the parts of our lives and our goals that may not be the strongest can help fuel our strengths. Then, we have a better opportunity to truly use positive self improvement ideas to become exactly what we are meant to become. Simply recognizing what NOT to do when trying to successfully implement positive self improvement ideas into our lives is the first step in making personal change. So long as we can weed out what doesn't work and recognize what does work - we can become the perfect image of ourselves that we've dreamed of our entire lives. Don't allow the wrong self improvement ideas to cloud your judgment of the right ones. Be patient. Focus on your goals. Take your time to achieve your perfect life.